4 Bedroom Detached House For Sale in Daventry for Guide Price £495,000. 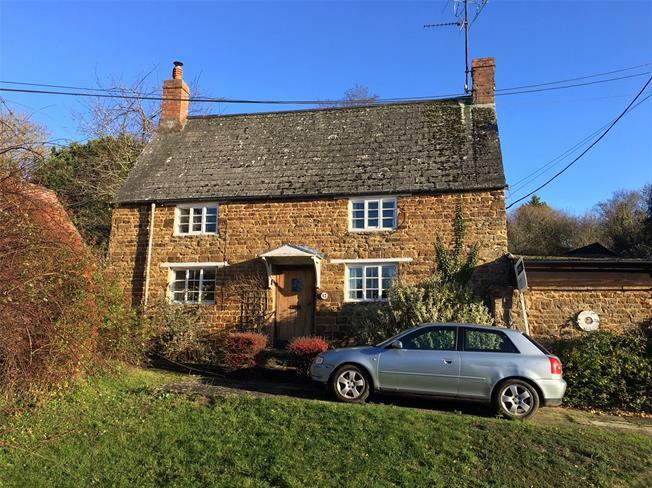 Having been in the same ownership for over 40 years a deceptive Grade II Listed character stone cottage situated within this sought after and tucked away rural village to the north of Banbury. The property offers a lovely degree of warmth and charm with the ability to now update and improve (subject to the necessary permissions). The property's entrance hall has stairs that rise to the first floor with access to the sitting room which has an open fireplace and a further spiral staircase to the first floor, in addition there are steps lead up to a cloakroom. The dining room has a window to the front with parquet style flooring and built in units to one wall. The kitchen & breakfast room offers a range of eye and base level wooden units with an integral dishwasher, microwave oven, fridge and freezer, a 4 ring electric hob and cooker. Steps lead up to a further snug or study area with a door giving access to the rear covered courtyard which in turn leads to the garden. To the first floor there are four well proportioned bedrooms with a shower room and a separate bathroom. One of the bedrooms has a range of bespoke quality handmade wooden shelving and storage, currently used as a study, one of the other bedrooms has access to the rear garden. Upper Boddington is located north of Banbury. Within the village there is a public house, a bi-weekly post office facility, village hall, schooling with a good Ofsted report, public playing field and church. More facilities can be found in Banbury with its mainline railway station into Birmingham or London (Marylebone approx 51 minutes). Daventry also offers a mainline railway station into London (Euston). Access for the M40 south can be found at Banbury (J11) and at Gaydon (J12) for those heading north to the M42. There is also access to Coventry via the A423 and the M1. The rear garden is a particular feature of this charming home and approaches 0.2 of an acre. Predominately lawn the cottage garden has been beautifully planned to provide colour and interest throughout the seasons. With a range of established perennial flower and shrub borders, trees and hedge there are various seating areas strategically placed to enjoy the sunlight throughout the day. At the rear of the property are two garden stores and within the garden there is a detached outbuilding that has been converted and designed as an office with a space saving staircase giving access to a mezzanine floor. A gate gives access to the shared driveway and to two garages. The property is offered with the potential to update and re-model (subject to necessary permissions). Grade II Listed. The property has electric night storage heating.